Vermont, say hello to Mystery Points. Now, say goodbye to Mystery Points. The Montpelier band recently released its self-titled debut record on the capital city's State & Main Records. But according to an email from bassist Jeff Thomson, they've just as recently broken up owing to some interpersonal struggles within the band. That's a shame, because the album seriously rocks and suggests that Mystery Points may have been bound for some big things, creatively. Sadly, the band joins the legion of local acts that have released one killer record before calling it quits. But rather than wallow in what might have been, let's focus on the positives. Because there are many. First, the record marks the welcome return of vocalist Robyn Joy Pierce. Locals with good memories might recall Pierce as one half of the cuddly Montpelier indie-pop duo First Crush — yet another group that hung up its guitars all too soon after a smattering of promising recordings. But where First Crush traded in sugary, boy-girl pop with a lovestruck whimsy aided by Pierce's sweet, girlish croon, here the singer affects a far more aggressive posture. In more ways than one, this is a breakup record. Mystery Points' shoegaze is sludgy and shrouded in a gloomy haze. Thomson and drummer Matt Gilbertson form a subtly dynamic rhythmic foundation. On top of that, guitarists Theis Bergstrom and Patrick Clark forge a thunderous wall of fuzzy guitar jangle that swirls hypnotically around Pierce's PJ Harvey-esque howls. But some sharp lead riffs appear throughout. On opener "Hunger," they tend to lay in wait, puncturing the gray veil of opaque noise with sharp, intermittent attacks. There's symmetry to the purposefully violent sonic approach and Pierce's writing, which slyly reveals its own cutting edges. On "Too Drunk to Fight" she excoriates an apathetic — and drunk — lover with measured ruthlessness. On the Strokes-ish "Stepping Out" she ponders infidelity — perhaps with good reason, given the preceding track. "Strangers" is an unflinching and bruising examination of how much we ever really know the people with whom we share our beds. "Postcards" is a disorienting, disturbing missive from the edge. The record closes on "Anchor," a heartbreaking rumination on stability and the impermanence of love. But it could just as easily be about a band breaking up as a romantic relationship. Anyone who has ever gone through both knows how similar those experiences can be. Whether intentional or not, that correlation puts a fine point on a fine and, unfortunately final, album. 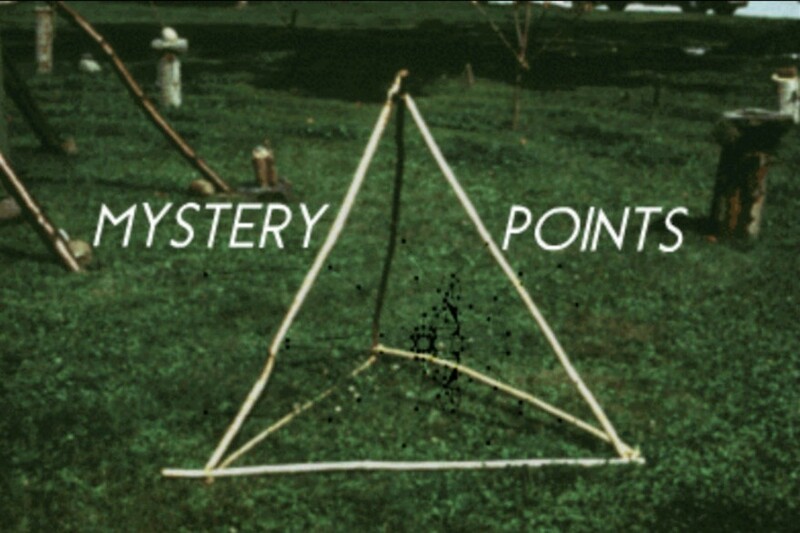 Mystery Points by Mystery Points is available at mysterypoints.bandcamp.com.